Good to be back on the bike again this Sunday, legs are getting stronger, managed to to alomost 50km (with a cappucino break in between). 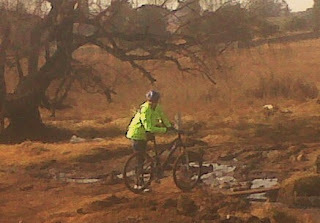 Sewer is still over running (4 months later) - Greg being oh so carefull crossing the cesspit. 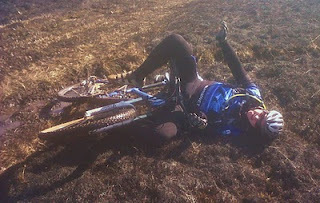 So what's a ride without a few falls, could hardly stand up after this one - front wheel got stuck in a hole deceptively filled with mud.